A Kelso nightclub boss intends shutting up shop and converting his premises into residential flats. Ian Hastings, who has run The Vibe in Vault Square for the past 25 years, made the announcement on Friday after Scottish Borders Licensing Board rejected his bid to open for an extra hour at weekends. As reported in these columns last week, Mr Hastings had claimed that without being able to operate till 3am, his business would be unviable. In his written submission, he cited the loss of punters to Galashiels and Berwick where nightspots operated until 3am and 4am respectively. He even highlighted the role played by his venue in bringing young people together, claiming 40% of newlyweds in Kelso had met there for the first time. However, his written plea failed to impress the police. “There are no exceptional circumstances,” said Sergeant Keith Bendall. The board’s licensing standards officer, Ian Tunnah, said the extension would run counter to the licensing objectives of preventing crime, disorder and public nuisance. “The premises have been the subject of various neighbour complaints regarding external disturbance noise over a prolonged period,” he added. Susan Walker, of NHS Borders’ drug and alcohol team, cited another licensing objective – protecting and improving public health – in opposing the application. 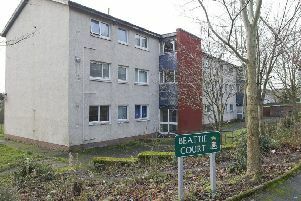 “These premises are in Kelso South … which has the third highest rate of alcohol-related [hospital] discharges and alcohol-related antisocial behaviour incidents in the Borders,” said Ms Walker. In his evidence, Mr Hastings said noise complaints were “historical and have been dealt with”, and he challenged the board’s policy that bids to operate beyond 2am should only be granted in “exceptional circumstances”. “Other than the fact Galashiels has a university, I cannot understand the exceptional circumstances which allow two nightclubs in that town to open till 3am,” said Mr Hastings. “The students have a campus on which to be entertained, so there is actually more reason for a late place in Kelso because there is nowhere else for young people to meet.